A wardrobe essential ! NYDJ sleek black pencil skirt in ponte knit that combines style, comfort and the Lift Tuck® Technology for a flattering fit for every occasion. 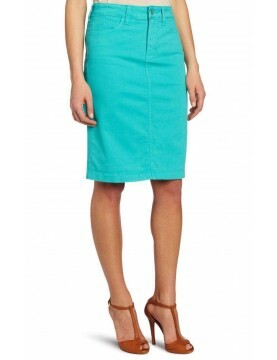 Sleek pull on pencil skirt in NYDJ Ponte Knit that combines style, comfort and the Lift Tuck® Technology for a flattering fit for every occasion. 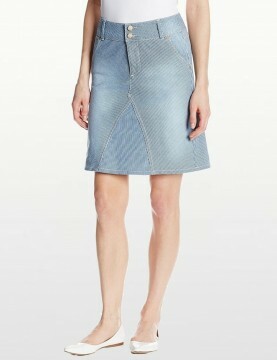 A flattering skirt from NYDJ you can wear just about everywhere, knee-length in a soft and comfy mid blue denim. A flattering twill skirt from NYDJ you can wear just about everywhere, knee-length skirt a soft and comfy washed stretch cotton twill. Five pocket styling, belt loops and NYDJ slimming technology. A bright warm-weather alternative to jeans, Emma slim skirt with five-pocket styling in stretch coloured denim by NYDJ. NYDJ Slim Straight Chino Skirt in Stetch Twill with Shallow Front Scoop Pockets & Back Buttoned Flap Pockets with Lift Tuck Technology to make you look and feel one size smaller instantly. NYDJ's Emma Skirt in light wash with hand sanding and whiskering is a great skirt for work or weekends. This iconic denim skirt features classic five-pocket styling with back slit, zip-fly and NYDJ exclusive Lift Tuck Technlogy® so you look and feel one size smaller, instantly! 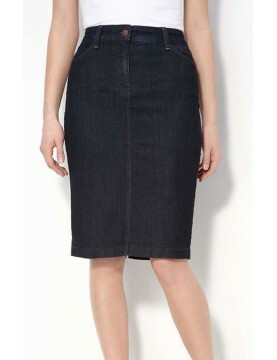 Flattering and slimming Emma Denim skirt from NYDJ, a versatile piece that can wear year-round. Five-pocket styling and a slimming silhouette with the revolutionary criss-cross panel that makes you look a full size smaller, instantly. 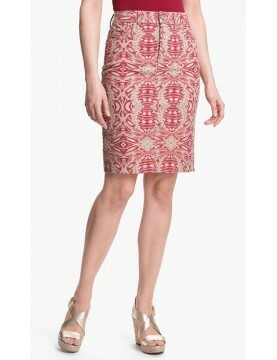 NYDJ Red & Tan Tribal Print skirt with revolutionary criss-cross panel keeps your tummy in control and makes you look a full size smaller, instantly. NYDJ Lynette stretch linen skirt with Lift Tuck Technology that lifts and shapes curves to instantly appear one size smaller. Tonal topstitching, darts with back patch pockets, zip fly with button closure and drawstring tie. Look and feel absolutely fabulous in the Ray A line skirt from NYDJ.